Depression – Why Am I depressed? Depression, is a medical condition characterized by long-lasting feelings of intense sadness and hopelessness associated with additional mental and physical changes. Depression can affect someone’s personal, social, and professional life. Differences in certain chemicals in the brain may contribute to symptoms of depression. Depression can run in families. For example, if one identical twin has depression, the other has a 70 percent chance of having the illness sometime in life. People with low self-esteem, who are easily overwhelmed by stress, or who are generally pessimistic appear to be more likely to experience depression. Continuous exposure to violence, neglect, abuse or poverty may make some people more vulnerable to depression. We live in such a fast paced life where it is easy to succumb to anxiety, stress, which somewhere along the line it leads to depression. But why me? Most of the people I hang around with seem so happy, their laughter, and behavior seems to be the norm. I wonder how many of them are wearing a mask like I do in public and social situations. No not me, how can I justify these feelings of depression, anxiety and stress. I live a good life, with whatever toy’s I want. Couple of nice cars in the driveway, a nice home but, I live alone. OK that has got to be it, poor me I am all alone. Strange though, that these three demons don’t bother me that much when I am alone. I have this nasty habit of comparing myself to others. What a lovely couple and such delightful children. Wow, they are laughing, smiling and seem to be having a wonderful time. I just wish I could be, and feel like them. The feeling of being all alone get’s me down, and that nasty depression takes over me. That mask I wear is not working, I have no one with me to pretend that I am doing great. Similar to a dog that put’s his or her tail between their legs, and runs away from perhaps a feeling of fear. I find myself doing the same, I am out of here feeling angry at myself for feeling the way I am. The doctor who is going to help me with these feelings of desperation. Well we chat for a while and, yes he has the cure that is going to make me feel normal in any and all situations. Its prescription time, and he does not seem to have a problem with filling the paper up for me, to take to the pharmacist. One bottle of pills that are for thirty days for anxiety, another bottle for depression and one for me to feel relaxed. Fantastic I am going to be OK, and enjoy life like most people do. I get home and immediately open the paper bag full of pills. Gosh, there is a lot of literature that comes with these medications. Hang on, there are warnings about these medications I am about to take. Nah, just legal stuff to protect any misuse. I want to feel good, it will take me too much time to read all of this stuff. Morning, afternoon and at bedtime. Well it is early evening, so I pop them pill’s down. Nothing is happening, time for bed, pop three more and go to sleep. Wake up later than usual feeling nauseous. Pop three more pills, call into work tell the guy’s I will not be able to come in. Something is very wrong. Better get those papers out of the garbage that the pharmacy provided. The side effects of taking these medications, far exceeded the so called benefits. I call the psychiatrist and explain how I am feeling, to which he says my body has to get used to the medication and you will feel the benefits after three or four days. OK, Doctor. Eventually I took an exacto blade to my wrists and ended up in hospital, the mental ward. The medications were changed under a watchful eye of the nurses. I spent fourteen days before being released. I still get depressed, have panic attacks and feel stressed. I tried stopping the medications and ended up having a seizure. Back to hospital for a week. Now, I have got anti-seizure medication, if for some reason I am unable to keep up my regiment of medications. Please be very aware that whatever medications you get, make sure you read about the side effects. Most psychiatrist’s do not know if the medication they prescribe for you will work for you. They perform these experiments, until they get it close or you end up dead. Sorry but that is how I feel. Thank you for reading my story. Although most lean proteins are good for fighting off depression, turkey has the edge because it has higher levels of tryptophan, a chemical which stimulates the feel-good chemical serotonin. Yogurt, skim milk, low fat-cheese and other dairy products are rich in vitamin D, calcium and protein, all of which can induce relaxation and sense of well-being. Fatty fish like bluefish, mackerel, tuna and wild salmon are the best sources of omega-3 fatty acids. The fatty acids found in these fish also have specific brain-boosting properties that help fight depression. Aside from that, these fatty acids also promote heart health as well as improve blood circulation. When it comes to foods that fight depression, you can never go wrong with fiber-rich whole grains. The complex carbohydrates found in whole grains are also known to improve mood quickly. Whole grains like oatmeal, brown rice, sweet potatoes and whole wheat pasta are all great choices as these foods help promote the release of serotonin. The antioxidants-rich green tea is known to fight off depression. This is because of theanine, the amino acid that features anti-stress properties and are usually found in tea leaves. This strong spice usually used in spicy Indian and Thai dishes is a great way to improve your mood. Considered as one of the “spices of life” due to its anti-inflammatory properties, turmeric contains the active compounds curcuminods and turmerones, which have been linked to a wide range of health benefits. system as well as promote the release of serotonin. Take note though that dark chocolate is especially calorie-rich, with about 150 calories per ounce, so it is advisable to eat one small piece at a time. One great and delicious way of reducing depression symptoms is by consuming active cultured yogurt packed with probiotics. The incredible connection between the brain and the gut suggests that beneficial microbes in your diet can help produce and transport serotonin and other neurotransmitters. You can use yogurt as a base in nutrient-packed smoothies and homemade salad dressing. Unfortunately, there is too much soda and other artificially sweetened beverages that are being consumed these days. Countless studies have shown that sugar-loaded diets are linked to increased depression rates. Instead of soda, grab a tall glass of water. You can also enhance the flavor with citrus, berries cucumbers or mint. Re hydrating your body is one sure way to increase your well-being. It helps in calcium absorption, thereby promotes healthy teeth and strong bones. It can be easily obtained from the sunlight. Vitamin D is also said to fight with anxiety and depression. Research had already proved that people with vitamin D deficiency are more prone to depression than people with higher level of Vitamin D. It can be easily obtained from dairy products, salmon fish, tuna and leafy vegetables. It is one among the important vitamins for the healthy functioning of body. Depression will lead to sleep deprivation, energy constraint and unhappiness. In this mental state of mind, it is always advisable to remain calm and not take any action. This Vitamin helps us to strengthen immune system, prevent strokes, prenatal diseases and skin aging. There are possibilities of vitamin C getting depleted from our body due to intake of aspirin, birth control pills and so on. This gap must be filled immediately to avoid any mental agony. It helps in the formation of red blood cells and plays a major role in our body. Insufficient amount of vitamin D can lead to anemia along with other neurological disorders. Though, it takes longer time to contact these diseases, however one should eat foods that are rich in Vitamin B12. Amino acids are needed to manufacture serotonin, dopamine and melatonin which are the reasons behind various mood fluctuations in our body. Vitamin B6 helps in the processing of amino acids which plays a vital role in building proteins. A deficiency in Vitamin B6 can lead to mental agony, frustration and mental blockages. Deals with mental and emotional stability. Our body is incapable of storing this vitamins, hence by default we are deficient in B-complex vitamins. There are high chances of it getting depleted due to alcohol or caffeine consumption. It can be in the form of Vitamin B1,B3, B5, B6 and B12. Vitamin B1 is used by the brain to convert glucose or blood sugar into energy, without which the brain cannot function properly. Lack of Vitamin B3 can lead to anxiety, agitation and mental agony. Vitamin B5 also helps in dealing with fatigue and depression. tags depression, Why am I depressed? Great topic. I think depression is something that a lot of us deal with and it’s important to talk about. We shouldn’t stigmatize mental health issues and I really appreciate that you’re helping to normalize the subject. I’d heard in the past that turmeric was good for inflammation, but I had no idea that it was a mood enhancer. Well, now I do and I’m absolutely going to try that out. Thanks for the info! I’m sure a significant number of people can agree with what you have to say here. Depression is really something that needs not to be taken with levity. The rate at which depression in the lives of human is increasing is alarming.Thanks for sharing this information, I can see the statistics of the rate of depression through this information. 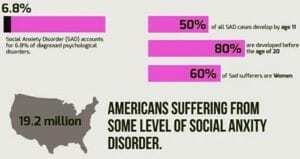 There are lot of things that causes depression and we should be concerned with providing solution. I will keep following your site to get more updates on this. Thanks Michael for this revealing post!Seeing quite a number of discoveries here today. The number is staggering.Thanks for the dietary recommendations you made.But aside that, I feel two other things are vitally important, and they are right associations and a healthy focused mind.I’m of that opinion, probably because I write on visionary living and because of my experiences with people.I believe that helpful associations where love is truly shared, right diet and a focused healthy mind should do the trick. Thanks for the work you are doing on your site, we need more helpful information such as this. Wow! Thank you for this insightful article Michael. I read through everything and I really appreciate the natural food suggestions to help combat depression. This is a real medical condition that sadly is not taken seriously within my culture, we don’t sensitize or even acknowledge depression as we should. I’m just glad I came across your article. Hi Shannon, sorry for the late reply. Thank you for your time and feedback, much appreciated. You are so right about depression being a medical condition and there people who just dismiss it like just a temporary feeling. One of the gentleman who offered me feed back had this to say and it was kind of disappointing. “Depression is a state or period of unhappiness or low morale that last for several weeks which may result in to thought of inflicting self injury or end up in suicide”. I haven’t responded to him yet. It is unfortunate when people do not realize that this a serious medical with a raising amount of suicide’s. Hi Michael, thanks for the article great read especially when it came to the food. I knew about the dark chocolate and fatty fish. I love wild salmon and usually eat it with brown rice and some veggies, I didn’t know the brown rice can assist with releasing serotonin. As far as the medications go always take as prescribed and even if feeling a little off let your physician or psychiatrist know immediately the effects as you know can be very dangerous for some people. Depression is not fun and for some hard to get to out of. It can strike at any time, just please be mindful that there are things such as the foods and vitamins listed above that can assist instead of manufactured drugs that can be harmful. Again great read thanks. Hi Jason, thank you very much for the positive feed back. It never seizes to amaze me the amount of side effects that come some of these medications. Hi Michael, Empower Your Lifestyles website is well written and I enjoyed every piece of content. Your site provides loads of information in relation to health, well being, exercise, meditation, as well as spices and herbs. You even added information on how and where to start a lucrative business. Great information! What more can one ask for. Thank you for sharing. Hi Virginia, thank you so much for your encouraging feed back. What you have said made me feel happy. I love to provide any sort of knowledge that may help someone find alternatives to a better life.